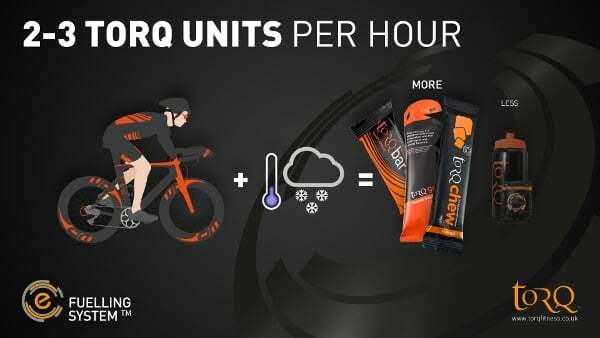 We ran a series of 6 slides at the recent London Bike Show through the TV screens on our stand and here’s what our customers saw. 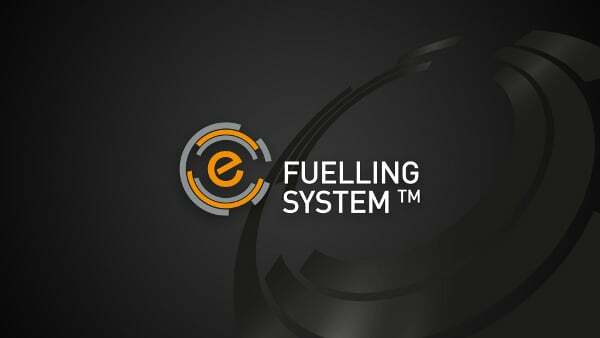 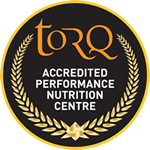 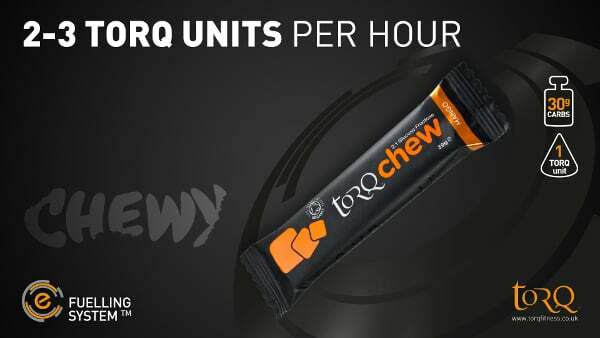 The slides explain how 500ml of TORQ Energy, 1 TORQ Gel, 1 TORQ Bar and 1 TORQ Chew all contain 30grams of multiple-transportable carbohydrates and each is referred to as a TORQ Unit. 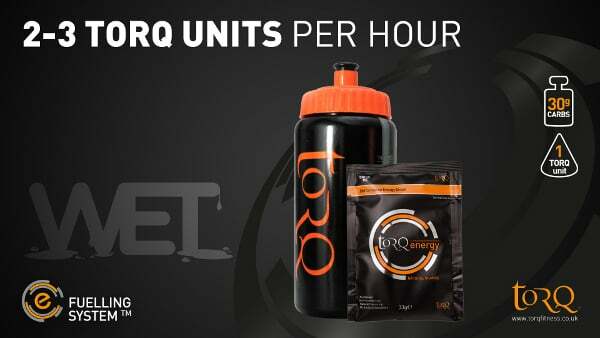 Clearly, the main headline is suggesting that the user should consume 2 to 3 of these TORQ units per hour for optimal endurance performance. 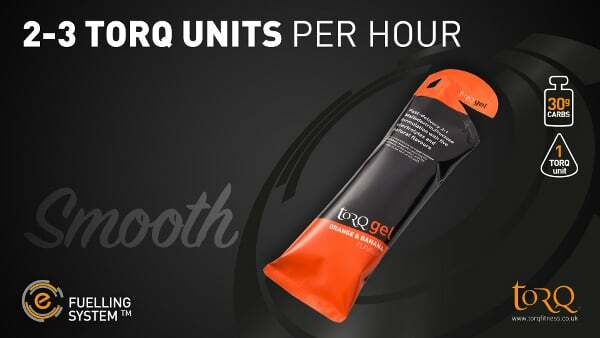 The slides also highlight the different textures of the TORQ Units (Wet – Silky – Soft – Chewy), because we want to communicate that the user ultimately has a choice as to which units they prefer to consume whilst exercising. 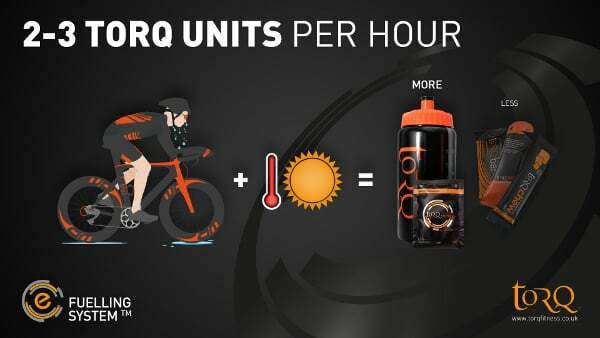 The final 2 slides hopefully indicate quite clearly how when perspiration rates are high, the user should drink more ‘wet’ units leading to a lower consumption of the 3 concentrated units (gel, bar and chew) and conversely, when perspiration rates are lower, one should drink less and eat more. 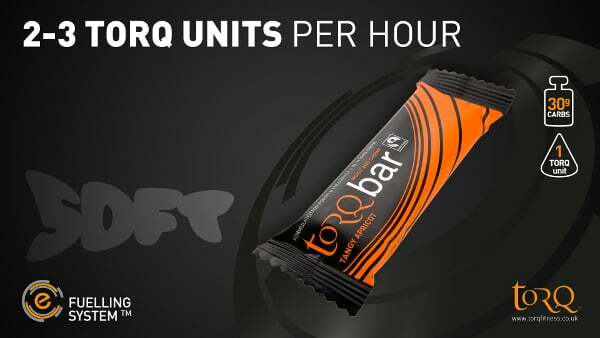 The 2-3 TORQ Units per hour is a constant despite all of this.